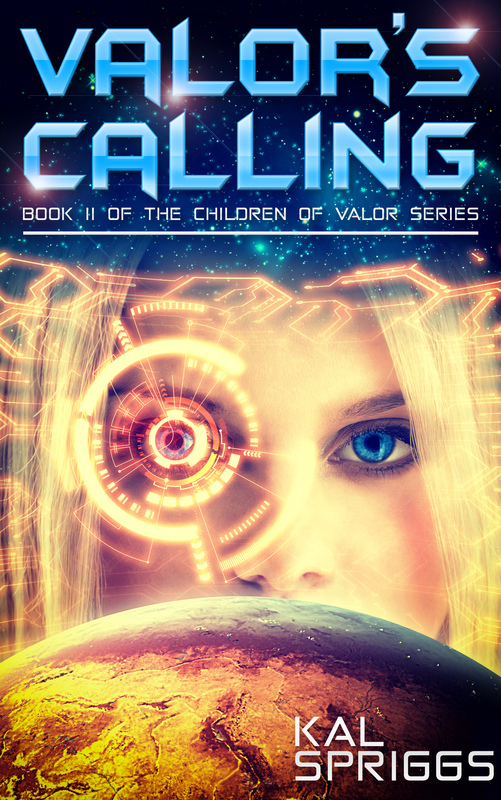 Here’s the second snippet for Valor’s Calling. You can find the first snippet here. Valor’s Calling will be available on September 29th, 2017. Dad was the one who flew me back to civilization. He’d raised an eyebrow when I’d asked him to drop me at the Enclave, but he hadn’t questioned it. He talked as he flew. Dad wasn’t as good a pilot as mom, so the skimmer bobbed a lot, but Dad’s stories were interesting enough to keep me distracted. It sounded like they’d found a lot of interesting stuff in this next level down of the old alien ruins under Black Mesa. I was glad for the distraction, because I’d started to feel nervous. I’d messaged Alexander Karmazin to let him know I’d be coming by on my way to the Admiral’s house. He hadn’t responded other than to say he’d meet me at the Enclave’s landing terminal. Most towns on Century just had landing pads in residential areas. With almost all of Century’s surface being land mass, it wasn’t like we didn’t have enough room to spread things out a bit. The Enclave, though, was supposed to be different. Karmazin had told me that they were refugees of some type, military refugees if you could believe that. His grandfather was the Enclave’s leader, his mom was some kind of important official there too, so Alexander should know. The terminal we set down in looked like a military base. Most of it was underground, with a few buildings with sensor masts and what looked like weapon emplacements above-ground. Off to the side, past a few big cargo and personnel transports, I actually saw a row of military skimmers and beyond them I saw the big, sleek forms of Mark V Firebolt warp-drive fighters. Okay, I thought, maybe there’s a reserve unit doing drill here or something. Dad talked with traffic control and then settled us down near one of the personnel transports. As he dropped the ramp, I looked over to see Alexander Karmazin and Ashiri Takenata come out of the nearby terminal building. I unstrapped quickly and hurried to the ramp. I felt a smile growing on my face, it felt good to see them in person. Alexander Karmazin stood tall, almost two meters, with dark brown hair and olive skin. Ashiri stood next to him, her short black hair tossed in the hot dry wind. I opened my mouth to shout a welcome… and then I saw them standing close to each other, holding hands. I forced myself to smile, “Hey, guys, good to see you.” My voice sounded robotic and I felt like an idiot. “Yeah,” Ashiri smiled back, her expression was wooden, “good to see you too.” She sounded nervous. “So, these are your friends?” Dad asked from behind me. All I wanted to do was turn around and run back up the ramp. I felt so embarrassed. Of course they were together. It wasn’t like Alexander Karmazin had showed any real interest in me. We’d been friends… and the one time he’d even hinted at wanting to be anything more, I’d thrown it back in his face by telling him I was leaving the Academy. Instead I forced my face into something between a smile and a grimace and turned to my dad, “Yeah, these are my friends, Karmazin and Takenata.” I deliberately used their last names. It let me distance myself from it. If I thought about them as classmates, it didn’t feel like a betrayal. “Great, well, I commed the Admiral, she’s covered your ticket from here back to Duncan City, so I guess I should get back home,” my dad said cheerfully. On impulse, I stepped forward and gave him a hug, burying my face in his shoulder. I wanted to cry, but I told myself that was silly. He patted me on the back and gave me a last squeeze, then turned away and walked up the ramp. I turned back to face my friends, they still held hands. It hurt, like my whole chest constricted around my heart… but at this point, I should be used to pain. “Let’s get out of his way, right?” I said as casually as I could manage. I shouldered my duffel bags and moved out of the way of the skimmer. I was thankful for the sound of the turbines. It meant I had some time where I didn’t have to talk. Carrying the weight of my bags meant I had an excuse not to look at my friends. As the hot air blasted over us, I could pretend that the tears in my eyes were from the turbine wash. I realized with horror that she was going to explain how she and Karmazin had hooked up. The last thing I wanted was to hear any details. “Ashiri, it’s fine. Really, you don’t need to explain.” I swallowed, “It wasn’t like Karmazin or I were dating. We’re just friends, like you and me.” I said the words with as much sincerity as I could manage. “You’re okay, then?” Ashiri asked, her voice intent. “Yeah,” I replied. “I’m okay.” It wasn’t like I had some sort of claim to Karmazin. Besides, I liked Ashiri, she was my friend. I couldn’t be angry with her. We’d been through too much together. I’d be okay. Everything would work out. If I just kept telling myself that, maybe I’d even believe it.